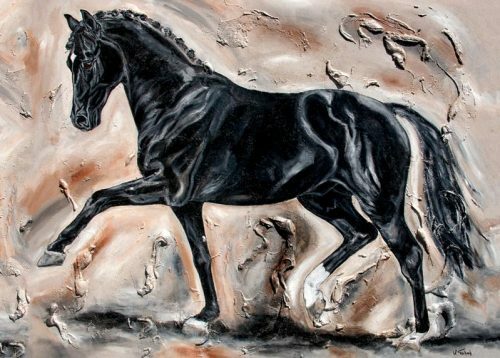 The division into Draft Horse, Crossbred Horse and Thoroughbred is mainly about the temperament and physique of the animals. 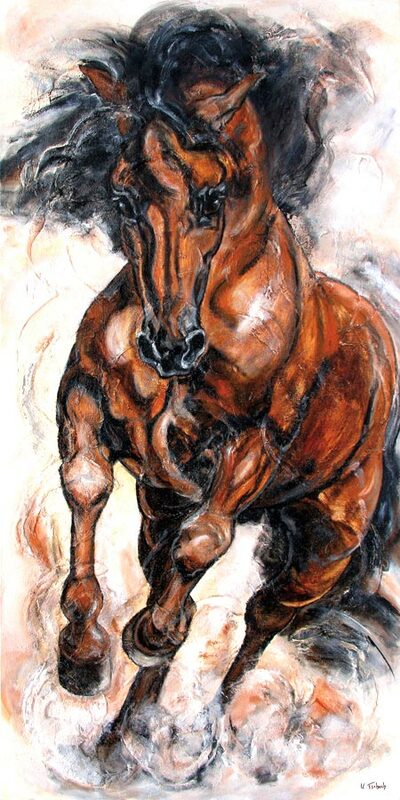 Crossbred stand above all for fast, agile and muscular horses. 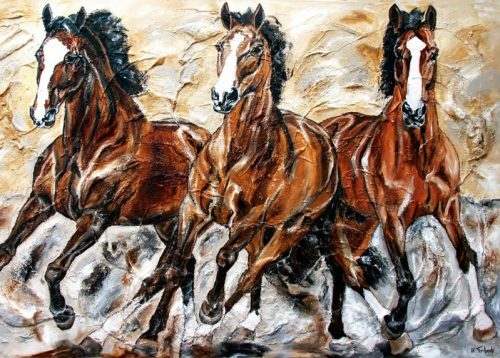 They have more temperament than Draft Horses and preferred as dressage and show jumping horses, while Thoroughbreds are more predestined for eventing. 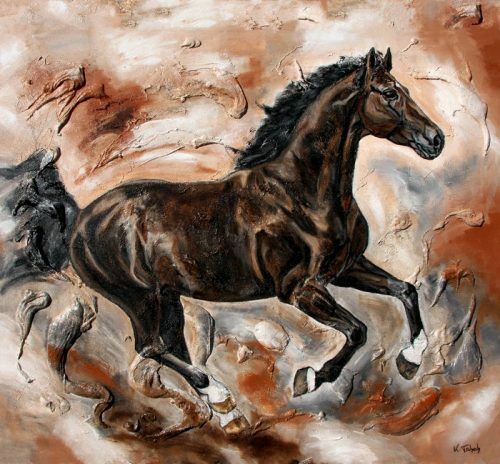 But the Crossbred Horse is also a versatile companion as a leisure horse. 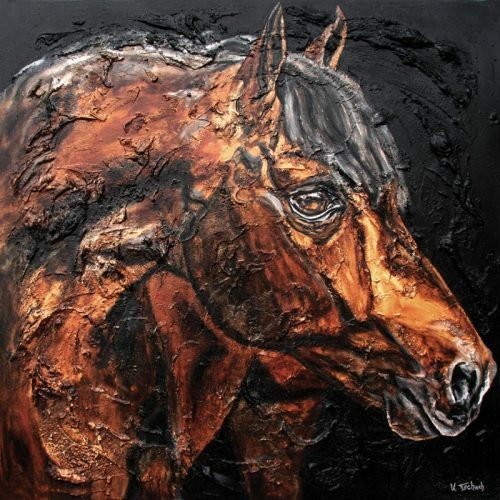 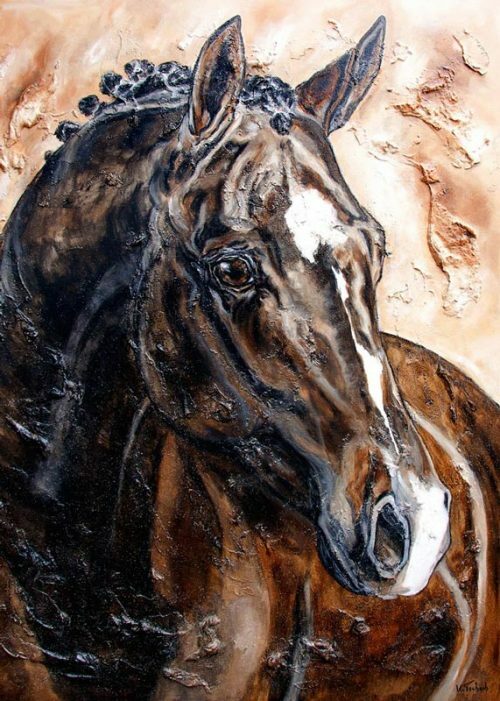 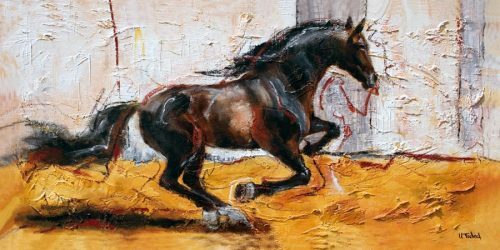 Whether Westphalian, Oldenburger, Hanoverian, Holsteiner or Trakehner – the artist lends the portrayed horses a particularly sporty and elegant touch, which is typical for Crossbred Horses. 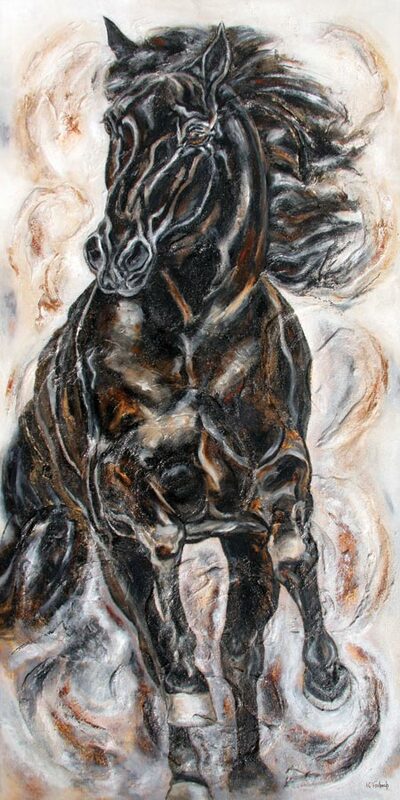 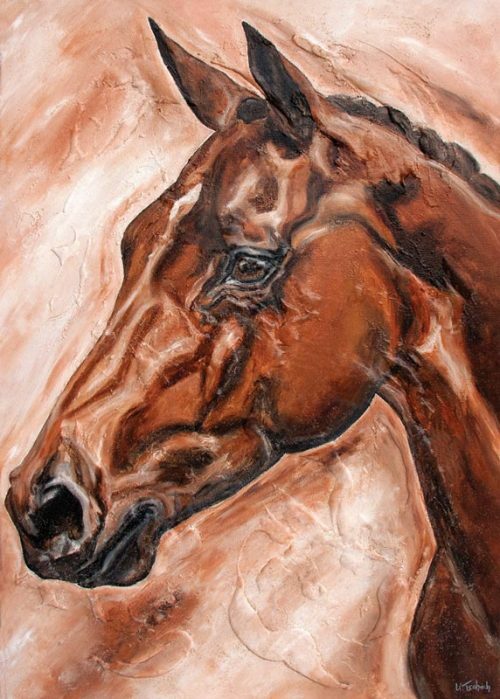 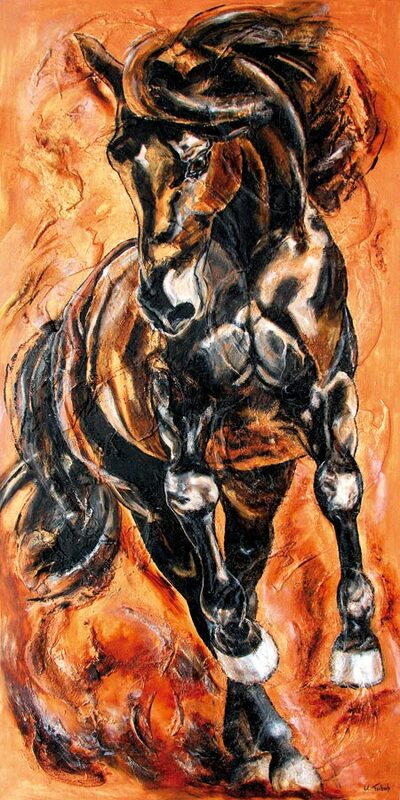 She achieves this by dynamically depicting horses galloping or trotting. 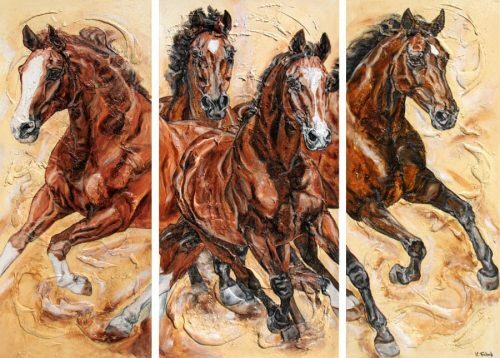 She also stages herds of galloping Crossbred Horses on triptychs or lets individual horses gallop from a frog’s perspective, emphasizing the temperament of this horse breed. 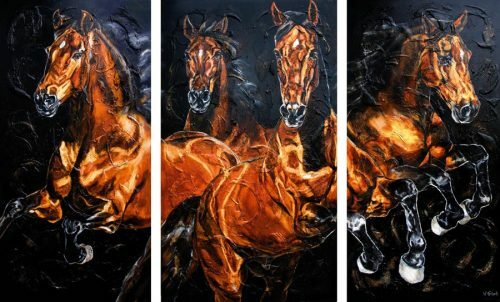 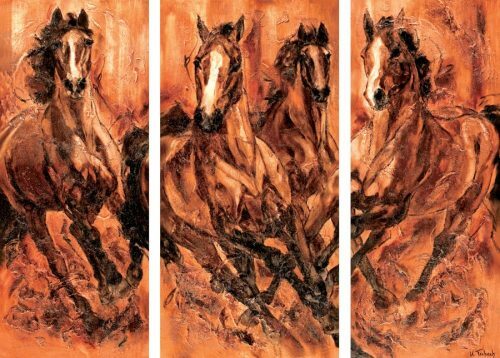 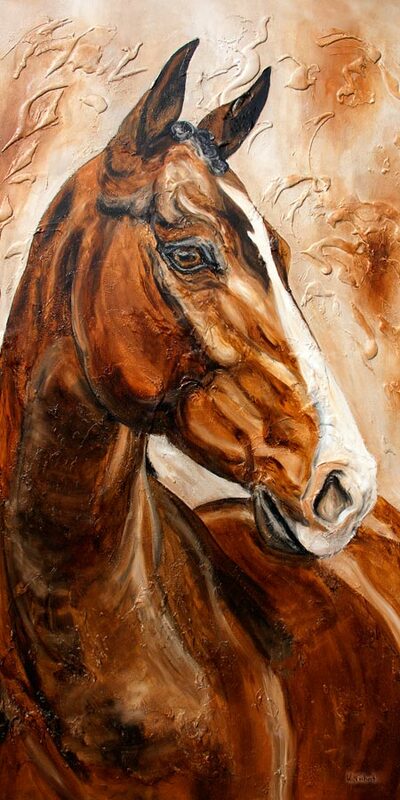 On the original horse paintings she works with structure and plastic elements. 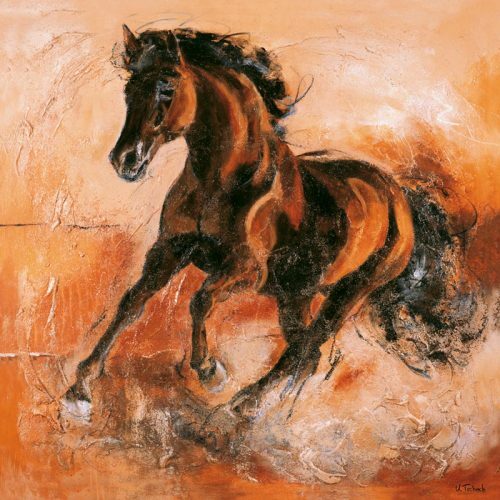 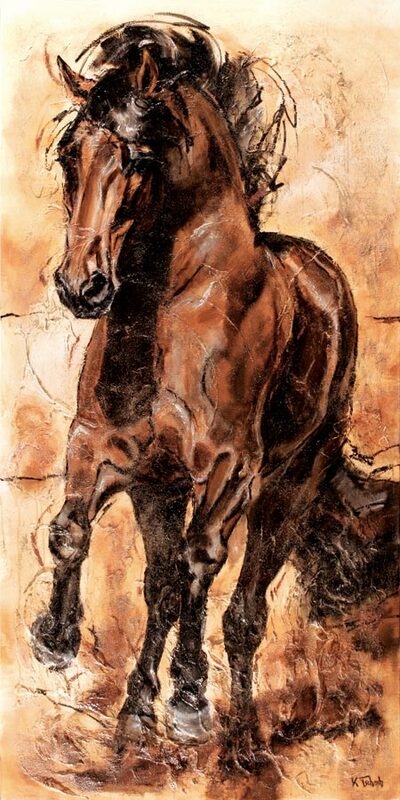 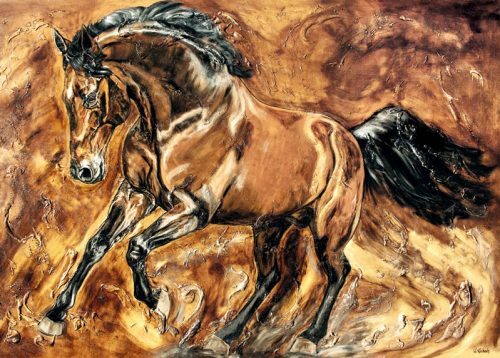 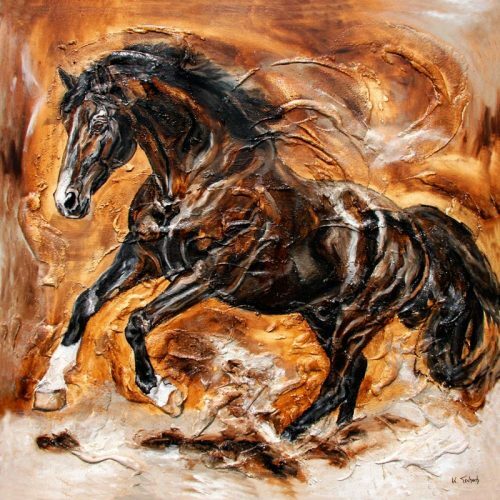 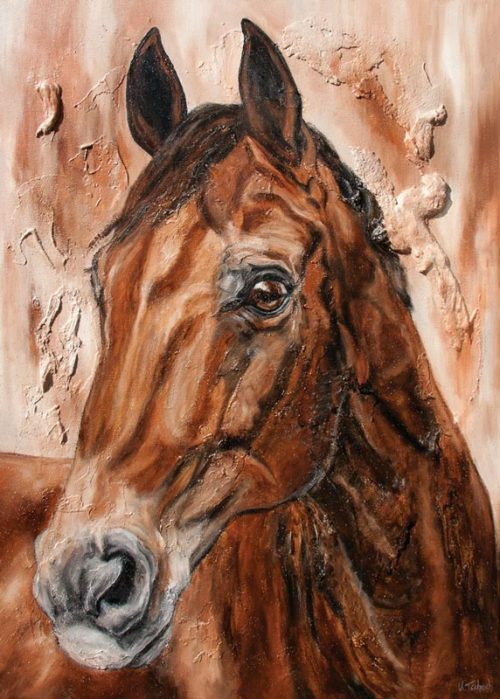 In order to come very close to the original, a canvas with structure is recommended, which is applied manually, before the horse picture is reproduced. 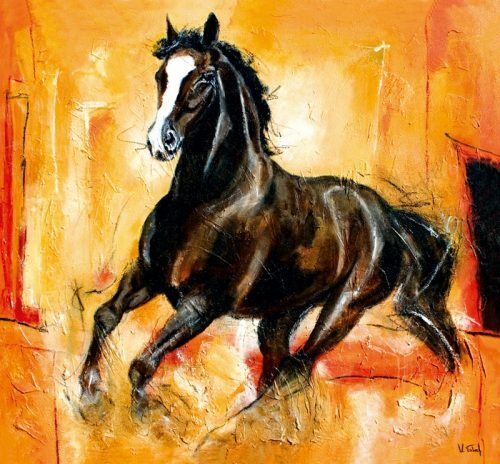 The German Crossbred Horses dominates the tournament scene worldwide and has achieved numerous successes in international show jumping and dressage. 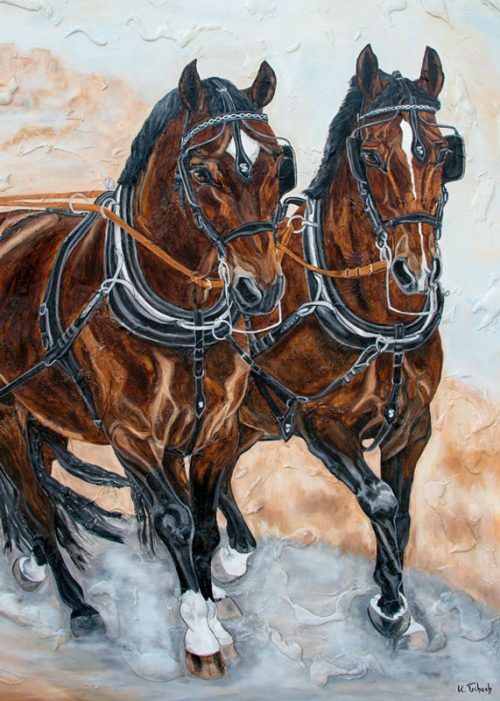 Famous dressage horses such as Donnerhall, Farbenfroh, Gigolo FRH or Totilas have long been on everyone’s lips. 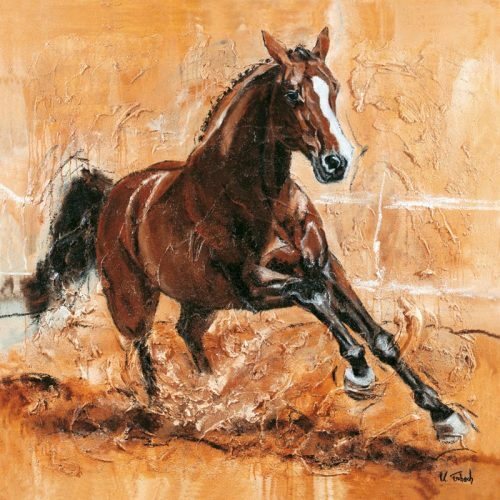 But also famous showjumpers like Baloubet du Rouet, For Pleasure, CassiniI, Chambertin, Ratina Z or Shutterfly became legends.